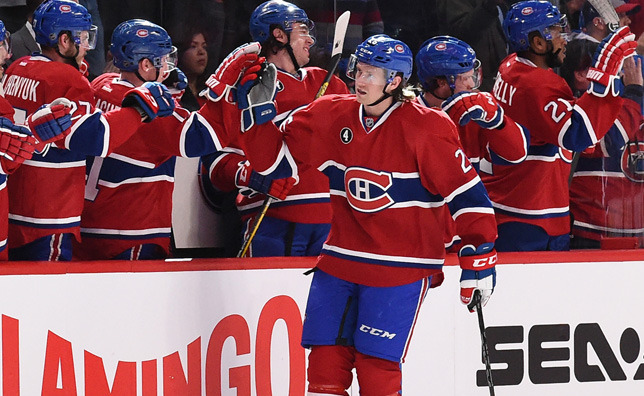 MONTREAL – After getting off to a solid start in La Belle Province, Jeff Petry will be patrolling the Canadiens’ blue line for the foreseeable future. On Tuesday, the CH announced they’d signed the talented defenseman to a six-year contract, ensuring the 27-year-old would remain in the fold through at least the 2020-21 campaign. Addressing the media via a conference call from his home in West Bloomfield, MI, the five-year NHL veteran was clearly pleased that the two sides had reached an agreement relatively quickly. While Petry hasn’t been in Montreal for long, his time with Michel Therrien’s troops certainly had a profound impact on him. Coming over after four-plus seasons in Edmonton in exchange for a second-round pick in 2015 and a conditional fifth-round selection, the former Michigan State standout wasted little time soaking up everything he conceivably could in his new hockey home, and he quickly adapted to the nuances that come with learning a new system – and integrating into a new locker room – in no time at all. In the end, it proved to be a perfect fit for both parties involved. Needless to say, the fact that the Canadiens are among the League’s elite teams was an important factor in Petry’s decision to sign on the dotted line, too. Having never been to the postseason prior to the 2014-15 campaign, the former second-round selection back in 2006 appreciated every moment of his playoff debut and he’s hungry to go even further in the not so distant future. Despite the inevitable pressures that come with signing a long-term deal, Petry isn’t about to change his game anytime soon. Well-aware that his style his play is what ultimately earned him a lucrative contract, he plans on staying true to what he’s done all along. General manager Marc Bergevin insisted on it. It also didn’t hurt to have the full support of his teammates, too, many of whom let Petry know just how important a piece to the puzzle he would prove to be down the road.